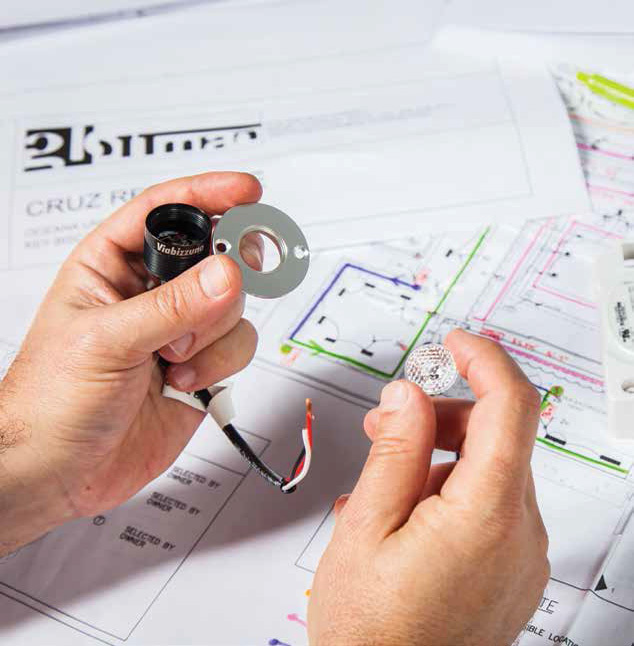 fueled by a passion for innovation, creative maestro oscar glottman is conquering all aspects of the design world. As a child in Colombia, Oscar Glottman feverishly constructed things out of whatever he could find, fueling his passion with blocks, twigs, branches, glue and twine. “I built skyscrapers and designed every detail from the furniture to the landscape surrounding these structures,” he remembers fondly. And today, he’s turned that interest into a full-fledged multidisciplinary design studio. 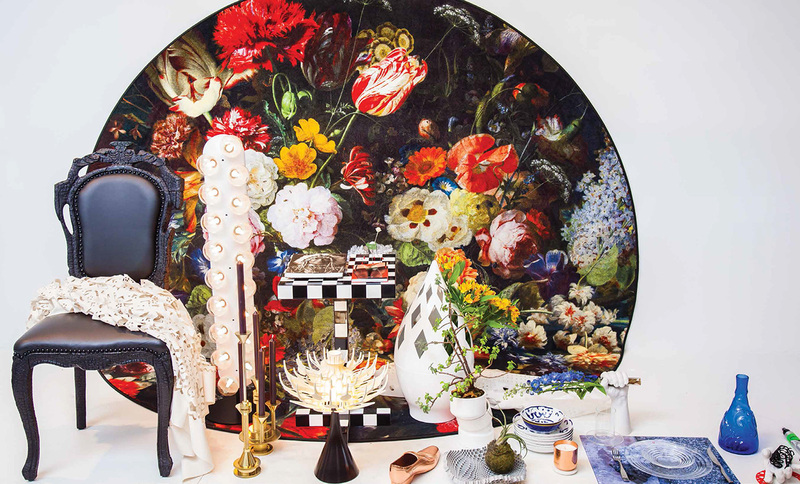 From architecture to interiors, lighting, and a showroom and retail space in Wynwood and lately, even visual arts-the designer’s creative reach is ever-expanding. 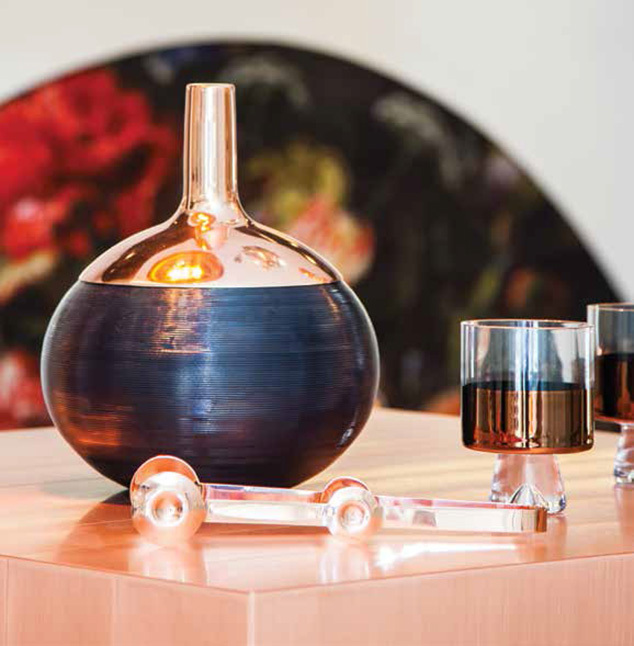 moooi vignette with tom dixon tables. Glottman moved to Miami at an early age, and went on to study architecture at the University of Miami and then internationally, in England and Italy, before opening his design firm, Glottman. “The goal was to gain expertise in designing architecture with a deep and true understanding of its humanity,” he says, and his travels helped him in this quest. Humanizing architecture, Glottman’s philosophy touts the tiniest details first, and the bigger picture later. “From small to big, from the microscopic to the macroscopic, we are in tune with the human needs of our clients,” he says. This, he believes, helps create an integrity and culture that’s present from inception and points to a clear mission. 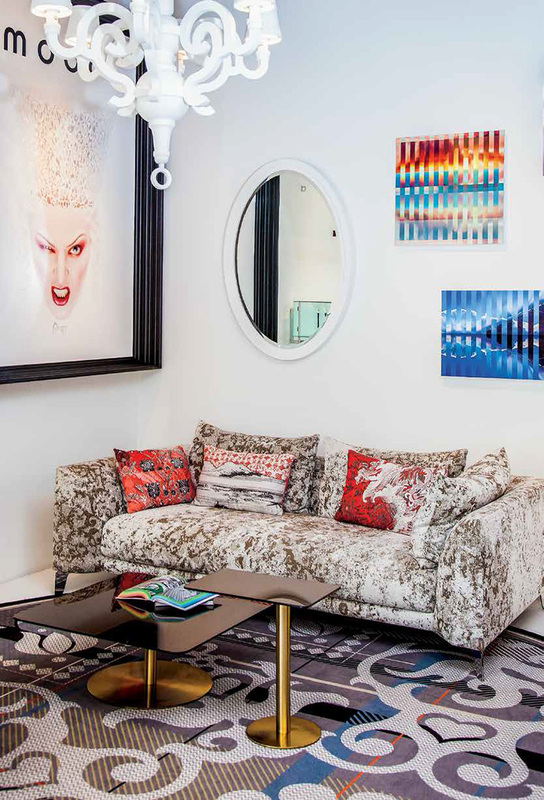 Delivering an ethos of environmental expression, Glottman focuses on a mix of intuition, technology and on-trend products to enliven the spaces and lives of his clients. 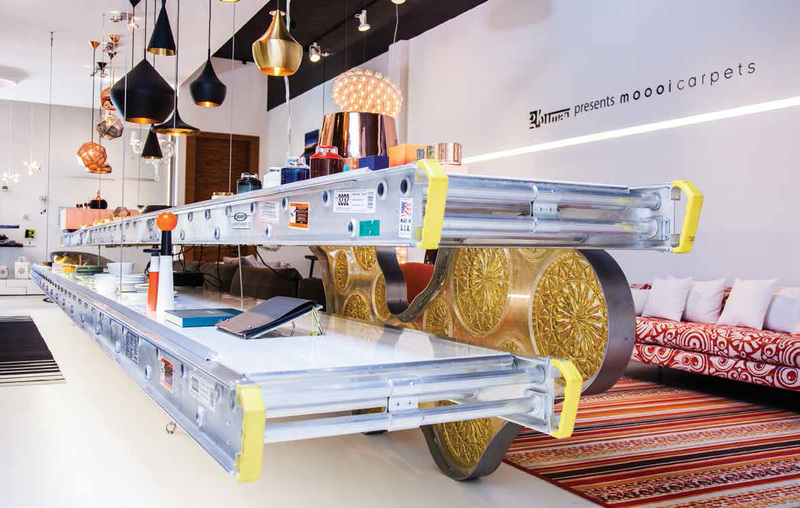 floating scaffold-shelving system designed by oscar glottman spans length of showroom. oscar glottman peering through micro led directional downlights. 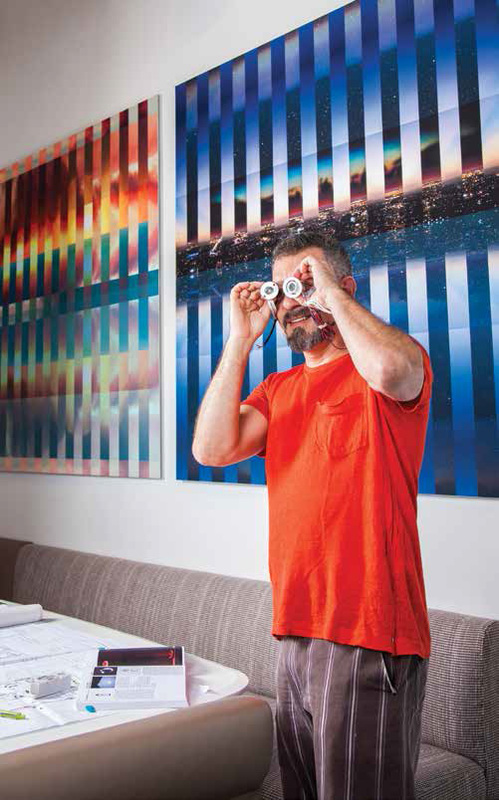 Whether planning interiors for residences in South Florida, out of state or the Caribbean, designing lighting and door systems for his projects or other designers and architects, or featuring cutting-edge lines in his showroom like the multifaceted designs of Kinnasand or a new collection of Moooi rugs that are custom-printed in a super-high resolution, Glottman is happy responding to the needs of his clients before even they can realize them. “It’s about creating living environments that are extensions of each inhabitant,” says the designer, whose next project is a larger retail space that includes music, fashion and food, as well as a pop-up shop in the MiMo/Biscayne Boulevard Historic District. 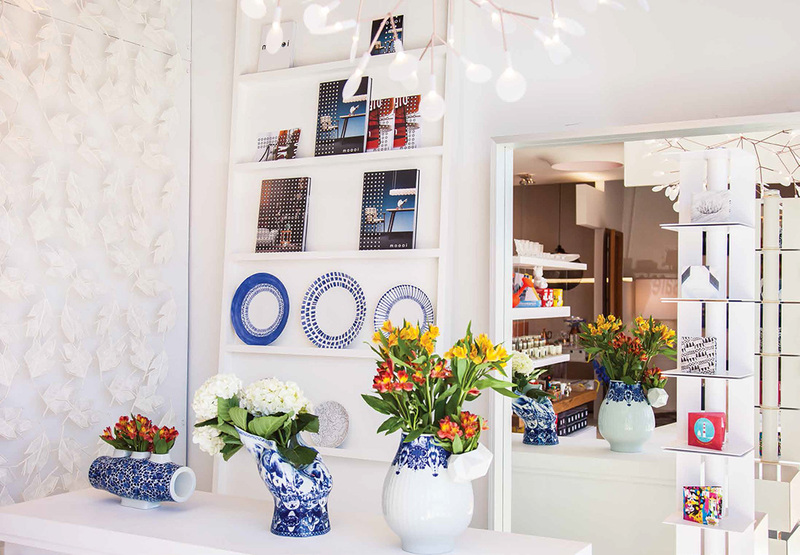 a handsome scene welcomes visitors to the glottman showroom in wynwood: porcelain vases from the moooi delft blue collection, blue-and-white plates by Italian tableware brand isi, and casamania’s maria room divider to the left. a moooi heracleum II light twinkles from above.